Why Did J.K. Rowling Kill Off This Harry Potter Character? Though today is just another Monday for most people, devoted fans of the Harry Potter franchise remember this date as one that is quite significant. Today marks the 18th Anniversary for the Battle of Hogwarts in J.K. Rowling's final book Harry Potter and The Deathly Hallows. The epic war saw several beloved characters pass away. 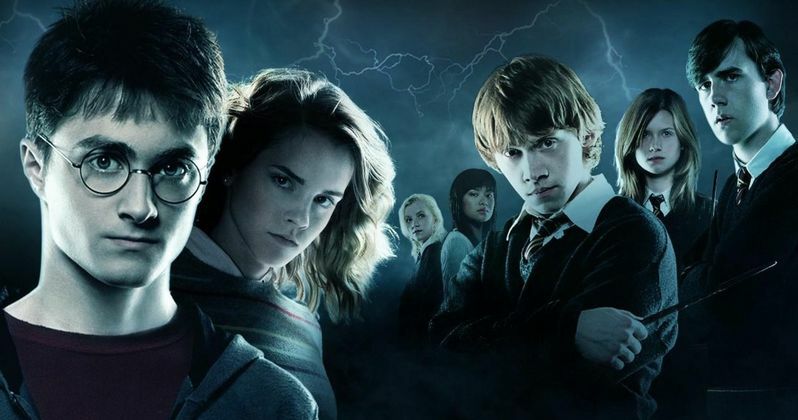 In honor of this anniversary, author J.K. Rowling spoke out about why she decided to kill off one particular character in this battle, Remus Lupin. Remus Lupin was played by David Thewlis in five of the eight Harry Potter movies, and he was quite beloved by fans of both the books and movies alike. Remus was afflicted with lycanthropy as a child and he could transform into a werewolf, which could be curbed with the help of Wolfsbane Potion. He eventually became Hogwarts' Defense Against the Dark Arts teacher, and later joined the Order of the Phoenix, fighting in the Battle of Hogwarts, where he met his untimely demise. The author revealed on her Twitter page early this morning that she first decided to kill Remis Lupin while writing Harry Potter and the Order of the Phoenix. Here's what she had to say in a statement to her Twitter followers. "Once again, it's the anniversary of the Battle of Hogwarts so, as promised, I shall apologise for a death. This year: Remus Lupin. In the interests of total honesty I'd also like to confess that I didn't decide to kill Lupin until I wrote Order if the Phoenix. Arthur lived, so Lupin had to die. I'm sorry. I didn't enjoy doing it. The only time my editor ever saw me cry was over the fate of Teddy." The Arthur she is referring to is Arthur Weasley, who, in Harry Potter and the Order of the Phoenix, was attacked and almost killed by Nagini, an attack which Harry Potter saw in his mind, and alerted people at Hogwarts. Arthur was found in time and managed to survive, but it seems the trade-off for Arthur's life was Remus Lupin's. Remus died shortly after his new wife Nymphadora Tonks gave birth to their newborn son, Teddy, who the author mentions in her post. Remus Lupin was actually briefly brought back to life when Harry Potter used the Resurrection Stone, along with Harry Potter's parents and Sirius Black. Last year on this date, J.K. Rowling started the tradition of apologizing for killing off a beloved character, by paying tribute to Fred Weasley. We'll have to wait until May 2, 2017 to find out who she pays tribute to next. Take a look at the author's tweets below, and chime in with your thoughts.